Help to save my knees so I can help to save yours! As a noncontract employee without benefits or quality health insurance, I have been putting off surgery for as long as possible due to out of pocket costs and time off work. My career as an athlete was over at age 13 and worse my entire life sense then has been filled with surgery after surgery mostly due to improper procedures. 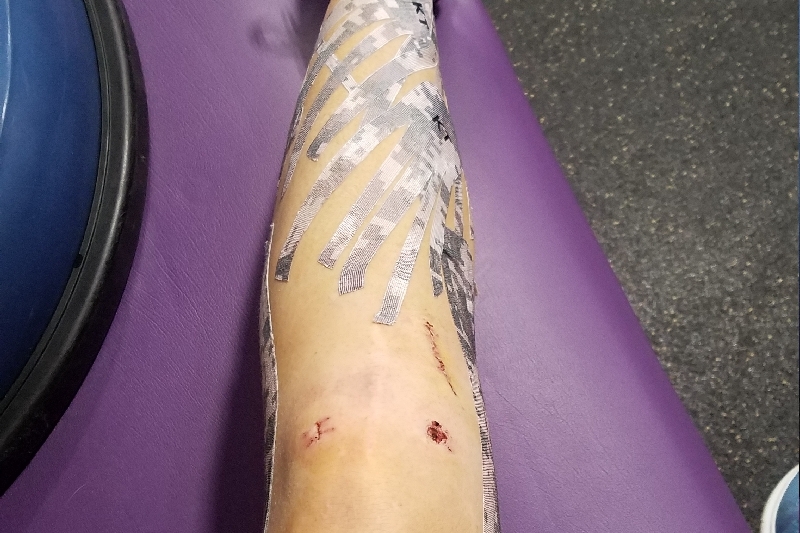 This should not have happened and because of this, my biggest goal in life is to give back to the epidemic of ACL injuries in female athletes by spreading awareness on the risk factors and creating programs for better prevention methods so that other young girls do not have to end up like me! I do not want a single athlete to experience what I have been through and my goal is to make a huge change in the industry for the better! · Age 26 (present) – found out ACL graft from last surgery failed. Facing 2 separate surgeries because I require a bone graft due to my previous surgeries before the ACL surgery can be performed. Facing my 7th and 8th knee surgeries in 2017. Use my story to help other female athletes! I want to save the next generation of knees! Your daughters do not need to end up a statistic like me! 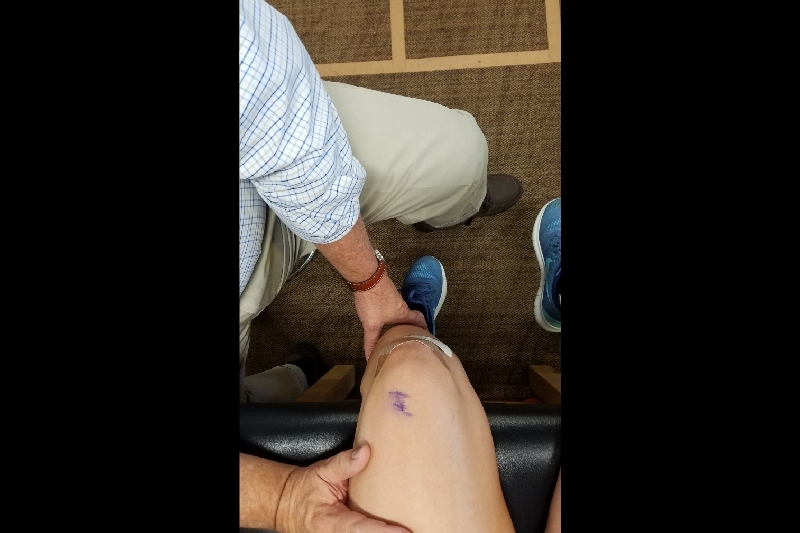 Women are 2 to 10 times more likely to tear their ACL but ACL injuries can be prevented or reduced through proper strength and conditioning programs with trained professionals addressing biomechanical issues in jumping, landing, and cutting motions, and through increased awareness to the severity of this issue…strength in numbers!! PLEASE HELP ME BY DONATING FOR MY MEDICAL BILLS. My goal is to get my graduate degree in Biomechanics and use my ACL Injury Prevention Programs and my website to change lives! Without your help I will not have funding to finish my surgeries and will never be able to get my Masters. Any help would be greatly appreciated. Thank you very much for taking the time to read this and please send this to anyone you know who has torn their ACL. Thank you! Day 23! Barely 3 weeks out from number 7 and making progress every single day!! 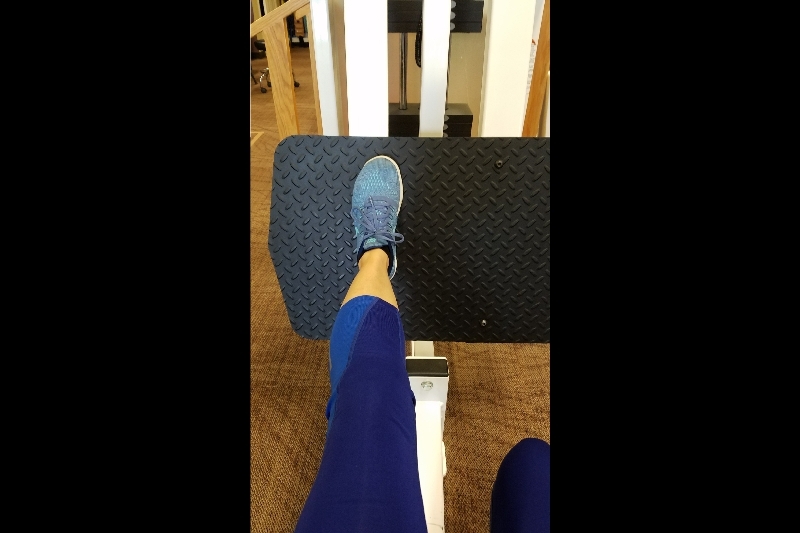 Advanced into the single leg leg press with 60lbs today and it felt great! Progressions are key in rehabilitating myself to prepare for number 8 in December. The stronger I am, the easier recovery from number 8 will be! Follow my journey through surgery 7 and 8 on ig @jennactive and on jennactive.com! Day 16 and ditched the last crutch!!! I am so thankful to be mobile and walking again!! It goes to show you that with a proper rehabilitation program progress happens daily!! IT IS WORTH ALL OF THE HARD WORK TO REGAIN FUNCTION AND GET BACK TO THE ACTIVE LIFE I LOVE!!! Don't ever let anything stop you, scare you, or slow you down!! Mission to conquer ACL and MCL surgery in 6 months!!! Day 13...Got my sutures out!! Using Kinesio Tape to help with swelling and provide joint support since I have almost no ligaments in my knee at the moment. 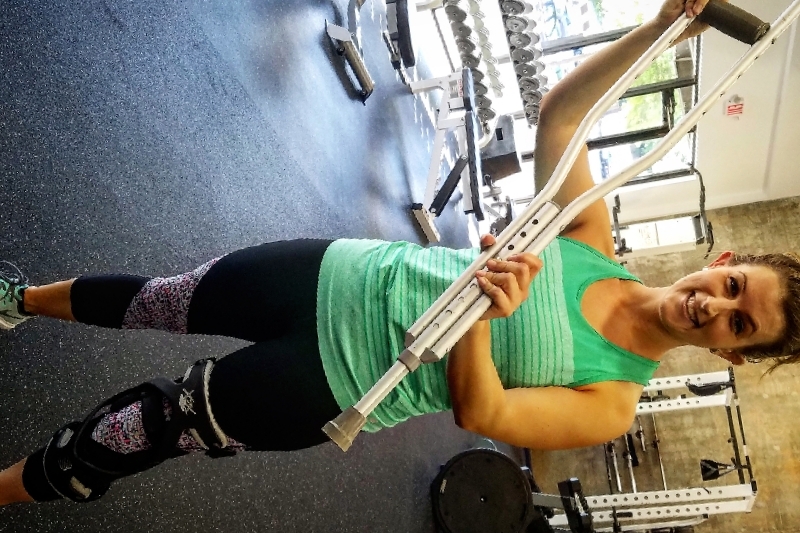 Mission=gain strength before ACL and MCL surgery in December! Bring it on! Physical Therapy goals in week 1: Range of motion and hamstrings co contractions. All about those hamstrings!! Extremely exhausted today but fighting through!